The chairs are very lovely with their new cushions! 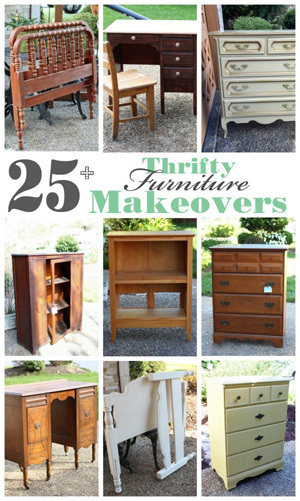 I think it is so great if we can repurpose and reuse, it saves money and keeps things from the landfill. I mean the front corners.. I think it might make sense when I do it tomorrow! I did it ! Thank you so much ! One more tomorrow ! Thanks, Chris! This tutorial is so easy to follow, and those corners will make more sense when you are actually making the covers. I did update one of the photos to make it more clear though. Good luck! Christy, your chair covers and pillow look fantastic and you make it look SO easy!! Ok, I seriously need to take the cover off the new sewing machine and learn how to use it. Yes, you are inspiring me! 🙂 Have a happy Sunday! Your cushion look so great! Cushions don’t last long outside in Georgia. It seems mine need to be replaced almost every year. I’ll remember to try this next year! Your cushions look great! Thanks for sharing the post, found it at Mop It Up Monday! Will be pinning this for future use… I need to redo my cushions but haven’t decided what color scheme to go with yet. I’m a new follower – love your blog! Thanks, Jill! 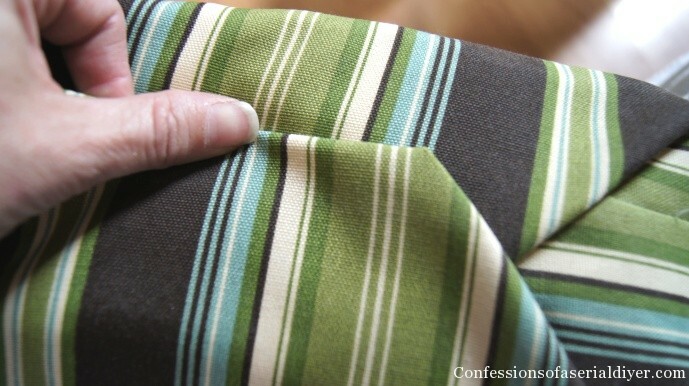 There are so many choices when you are choosing fabric to make your own…a blessing and a curse! 🙂 So glad to have you here!!! What a great tutorial, man do I wish we were neighbors. My sewing machine and I got a divorce years ago…lol I was forced to buy store bought ones….Great job. This is a great tutorial! I pinned it! I have new cushions now (because I afraid to make them), but next time I need (or want a new look) I have super directions that look easy enough for me to tackle! I like your other post too, with the how to on the back cushions! Thanks much and I love your fabric choices, the furniture all looks so fresh and enticing! Wow, Christy – totally awesome cushions. I love them, the fold over on the edge looks perfect!! Such a fabulous after:) Can’t wait to see the rest!! Hey, Christy! I just finished my patio cushions and they look great 🙂 I ended up doing the lumbar cushions instead of the big seat cushions since it saved a little money and I don’t mind the big cushions too much. My mom is a fantastic seamstress so she did her thing with the pattern, but your post totally inspired me to get on the ball and do it! Wow Christy, it looks like a totally new patio set! I love the fabrics you chose. yeah, stripes are much easier to work with. Wow, you are a genius. These look great. I am so glad I stopped by. 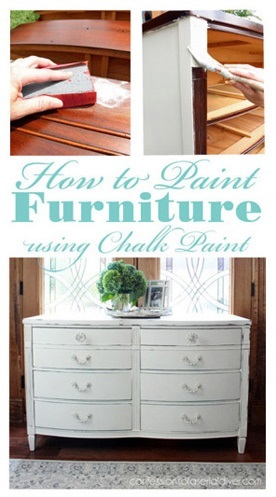 I am hosting a giveaway via Arcadian Home on my blog. It would be great if you could stop by. Have a lovely day! Wonderful post, I’ve enjoyed it very much. My chairs are still ok..but now I know what to do. I hope you don’t mind that I’ve reposted it at my linky gallery “The Blog POST OFFICE”. It’s a Reverse Linkly. The gallery is a lovely place being filled with great blog posts like yours and other fab bloggers. Drop by, I hope you’ll enjoy the POST OFFICE too. If you place a backlink of “The POST OFFICE” with your post, you may be considered for the “First Class Post” award. Thank you SO much! 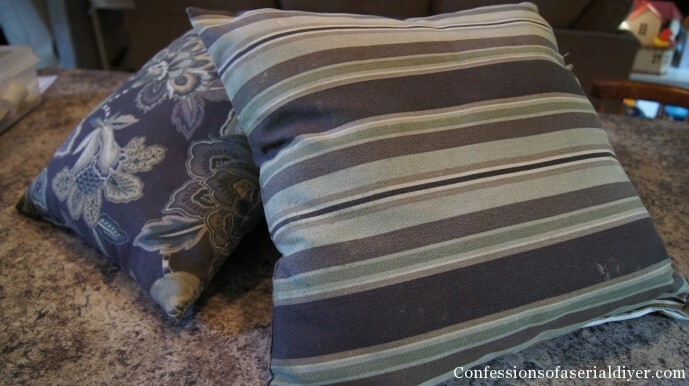 I keep looking at my washed out old cushion covers and thinking I need new ones, but they are so expensive! 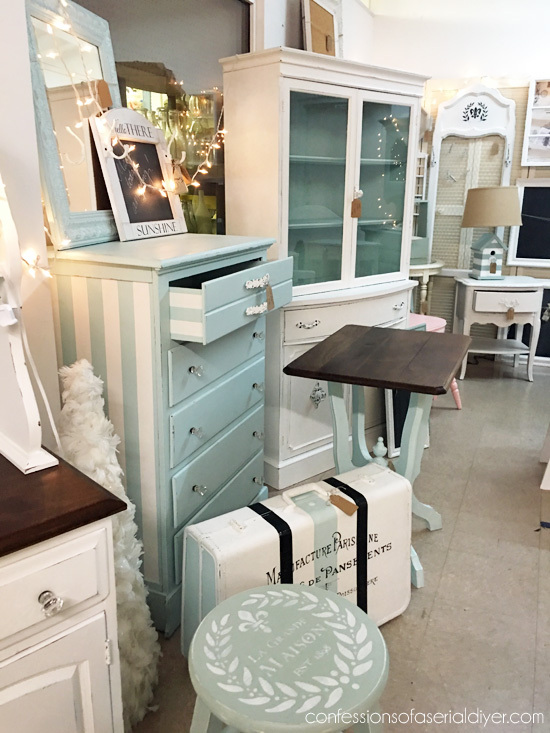 I always find good deals at Hancock and you totally convinced me that I can make my own…and that I simply must have stripes:)If you get a sec this weekend, I am hosting a Linky party and would be super excited if you stopped by to share this awesome post! Yay! I think you’ll find this pretty simple! Thank you so much for sharing this and for making it so easy to understand! I have had some new fabric (striped) 🙂 since last year that I planned on using to recover a cushion for our porch swing. I felt so intimidated to try it until now! I love that I was searching for sewing cushions and your blog came up! I remember seeing it a few weeks back on FB. Awesome job! I’m going to be making some covers for some pation chairs that were given to us and these look perfect. Can’t wait to start! I am so glad I found this! Last night I almost lost my mind trying to sew new covers for my outdoor furniture. 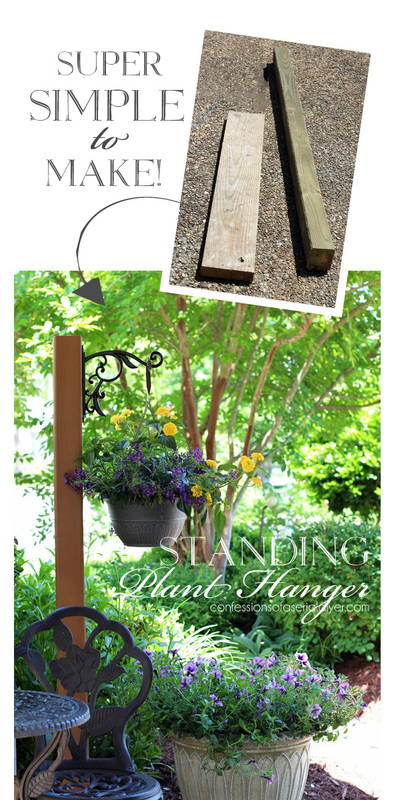 I was using a much more difficult method but can’t wait to get home and try this. Even with my limited sewing abilities I KNOW I can do this. 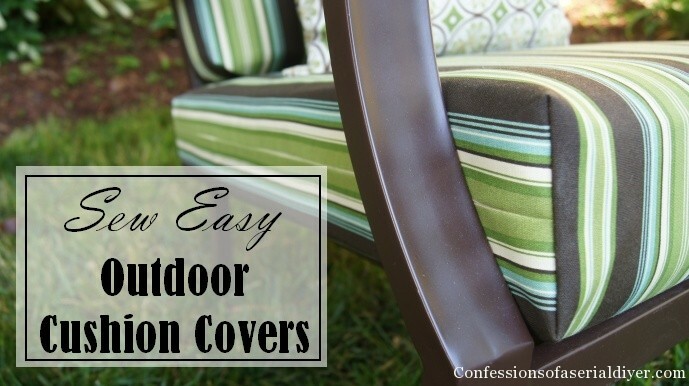 I did this same thing for our outdoor chair cushions. It is incredibly easy. I slip stitched the top ‘opening’ so that I could wash them if need be. Though I think I will take your suggestion and just make new ones when these have had it! Heaven knows I have enough fabric stashed!! I bought some greatly discounted Smith & Hawkins chairs years ago but the cushions fabric has finally rotted. I tried to find replacement cushions but the prices were so outrageous that my husband wants to get new furniture. The chairs are still great and it would be a shame to get rid of them. I am so glad I found your tutorial. My next decision is to find some affordable fabric and wipe the dust off the old sewing machine. This is such an awesome tip! I don’t have any chairs with cover but I’ve pinned this “just in case” for the future. Your tutorial was perfect! Winter in VA-now is the perfect time to get started. 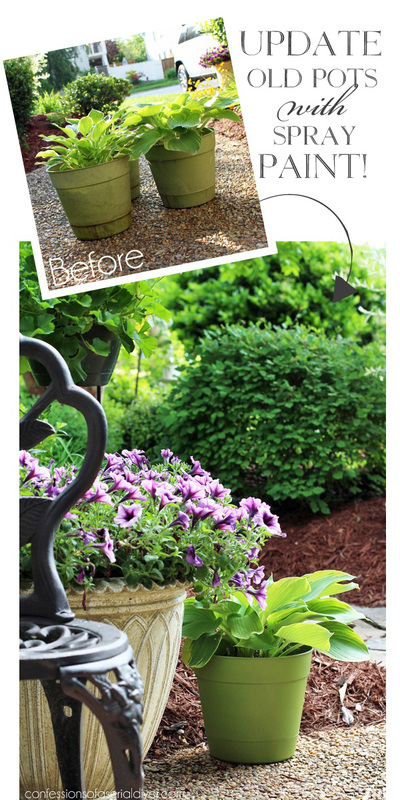 I am so inspired by this post and keen to revamp my outdoor setting with new cushions. I am looking to buy my first sewing machine. Any tips for this sort of DIY job? I would like to use outdoor fabric similar to yours. Does the machine need to be heavy duty. As its my first machine I’d like it to be something I can grow into but also not too pricey. Any suggestions would be great! Thanks for the blog. The cushion cover is pretty and the color of that is also amazing. This is a way we can deliver a new look to our house but the best part is that we can do by ourselves the work of cushion cover sewing. Can you sew these pellows by hand and still work I plan on makeing some cousions for my outdoor couch because I can’t aford them at 25$ a pellow so I was wandering if I could sew these by hand and they will hold up? 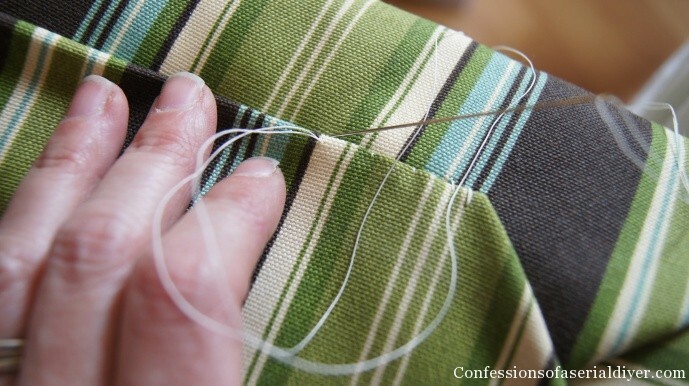 If you only have a couple of cushions to sew, you could do it by hand. I think they would hold up just fine. Thanks for the tutorial. 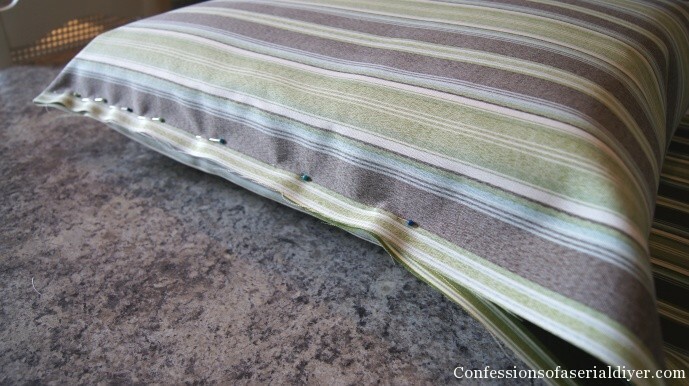 Have you tried this over cushions with welting? My current cushions have welting, and I don’t know how this will look. Hi, love this tutorial! I wasn’t sure where to post this question. Our cushions are cheap and not comfy. I’m thinking of getting a cheap couch on craigslist to salvage the cushions to use on our outdoor furniture. Is this a good idea? Would love to hear your thoughts! Thanks! Awesome! Thanks, I’ll give it a try and let you know how it goes! Oh Christi, your pillows are so gorgeous! 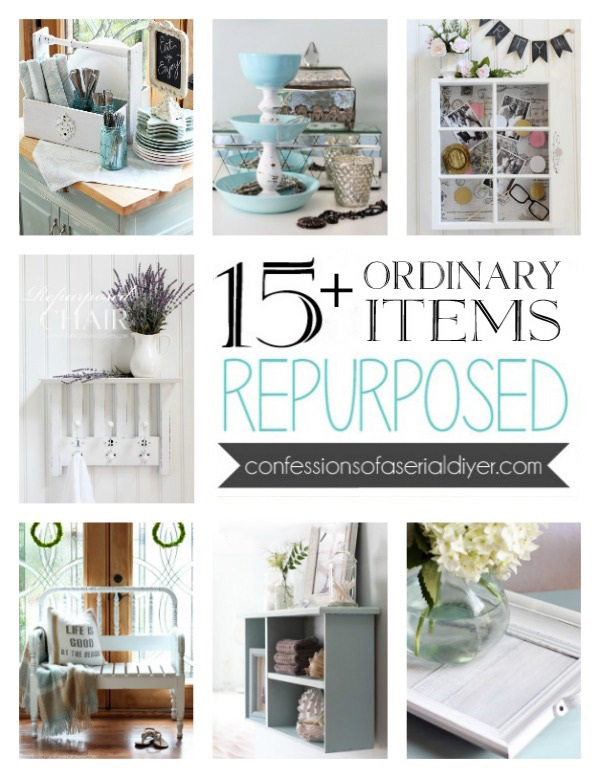 I need to recover oour cushions but am hesitant…. It looks like so much work…..
Hi, I’ve been researching fabrics. I don’t want to do all this work and the next year have to redo it. 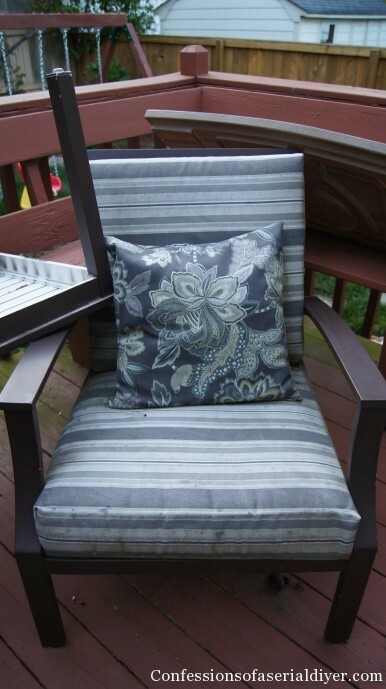 If I’m using old sofa cushions do I need to get special waterproof fabric or would general “outdoor” fabric be okay? It seems like Sunbrella is the best but so pricey. Thanks for your advice! Christy, I remember this post from last summer. So glad you shared it at the DIY Sunday Showcase party this week! Great idea! And awesome tutorial!! I’m pinning this one to our talent board on DIY Sunday Showcase! Thanks for sharing! Hi Nichole, I used indoor/outdoor fabric I found at Joanne Fabrics. 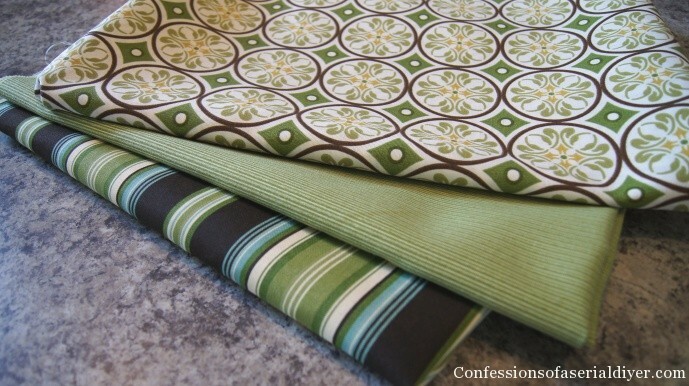 I believe it was originally 19.99/yard, but I had a 50% off coupon making it around $10/yard. The outdoor fabrics are more water resistant and fade resistant than regular fabric, so I would try to find something recommended for the outdoors. You can try Joanne’s online. Sunbrella fabric is very pricey, which is probably what you are seeing for $59.99, but you don’t have to spend that much. And yes, that is for one yard. Crazy, I know! I’d be happy to answer any other questions, good luck! Thank you! I found some really cute indoor/outdoor fabrics. I began to worry this was going to be just as pricey as buying new cousins, but I found some really cute fabrics on sale at fabric.com. I was able to order enough fabric to cover 8 chairs, a bench and a few pillows for under 80 bucks. including the thread!! Can’t wait till it arrives, so I can show how they turn out!! Thanks again!! I’m a newbie at sewing and I cannot for the life of me figure out exactly what you did at the corners to make them look so perfect! Could you go into a little more detail please? You put the cover back on after sewing the two side seams, and then what? I’m just not getting how you pin the fabric at the corners. Hi Christy! I was wondering how thick your foam cushion was? Hard to tell in the pictures. Maraleta, the bottom cushions are the thickest at about 4.5″ thick. 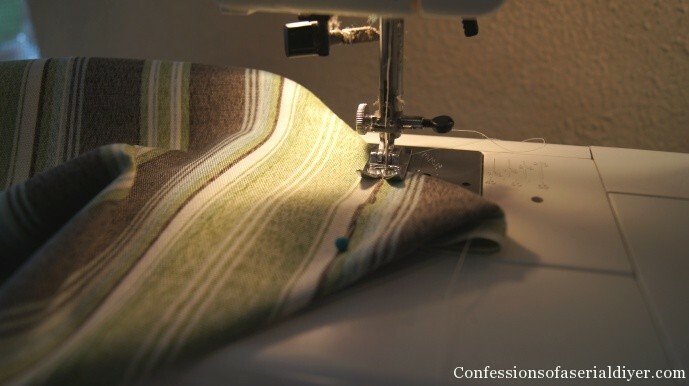 Christy, could you explain exactly how you pin the fabric at the corners? I’m just not able to visualize this for some reason. Thanks for any help you can give a newbie! Hi Christy. I had the same question about the corners. Would you mind going into more detail? I am having a problem visualizing it. It all sounds so easy except for the corners, which is the part that makes them look more professional. Excited to get started! This looks so easy! What I can’t figure out is how, after you folded and pinned the fabric on the cushion, you got it back out to sew and then back on again. Thanks for sharing! Ahh, I think i get it! I now realize the back is open and the corners you sewed were the front where the fabric is folded around. Makes way more sense, thanks for the response! I love this tutorial! I have two great big standard poodles, who are wonderful!!!! But they needed good beds so looked around and got my hands on some couch cushions, one was to small and two was to big so I cut one in half. Then covered it in batting and covered it in a nice easy to wash cotton. They love their new beds and they look so much better than ugly store beds. I have a silly question. What kind of thread did you use? Is it necessary to use outdoor thread? Love your tutorial by the way! Great! Thank you for getting back to me so soon!! Hi. I didn’t have time to read ALL the comments, so please forgive me if you’ve already answered, but I am going to do new cushions for our outdoor furniture. The foam is WAY more expensive than I thought it would be, but that’s okay b/c I think our old ones may be kinda moldy! 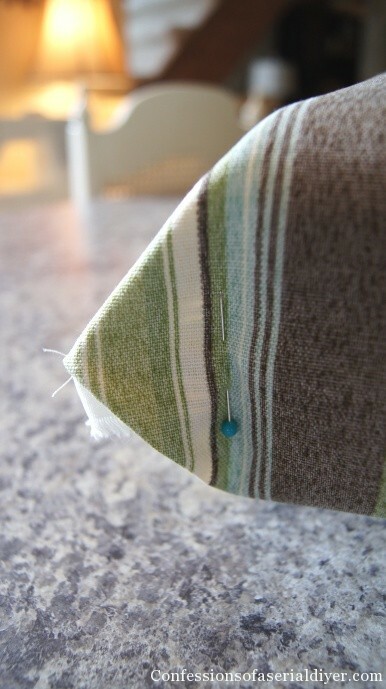 ANyhow, I was just wondering since the outdoor fabric is kind of thicker, do I need to be using a thicker needle on my machine? Also, do I need thicker than average thread to sew them? THANKS! Hey Christy–Yeah, we did open one up and it was NASTY!! Amazing what ten years (or so) can do!? GROSS! So, unfortunately, we are replacing them. So far, it’s about $20 PER cushion. It’s less than upgrading the furniture anyhow! ANd..I LOVE picking out the EXACT fabric that I like! Thanks, JJ! Unfortunately I don’t have a can right now, but it was Rustoleum. (My favorite!) It was just a basic brown in satin finish. 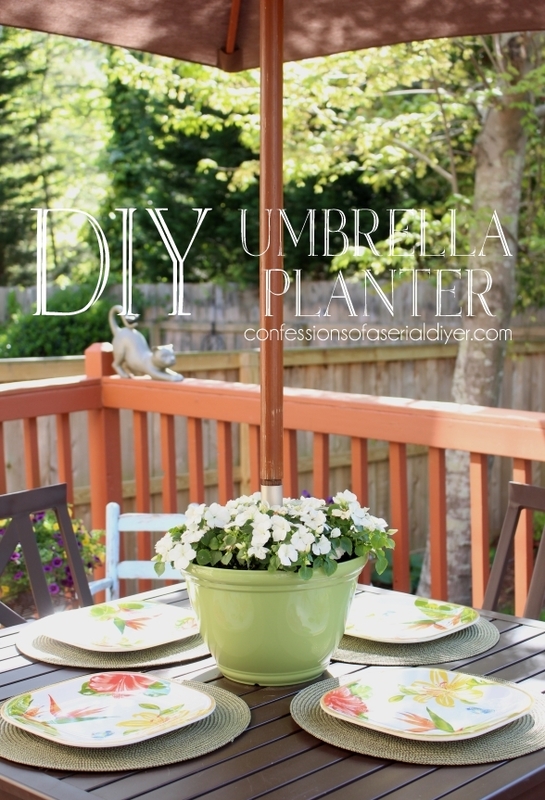 Last year, I painted my chairs and table set the same – I used Rustoleum Oil Rubbed Bronze. I think yours are the same colour. 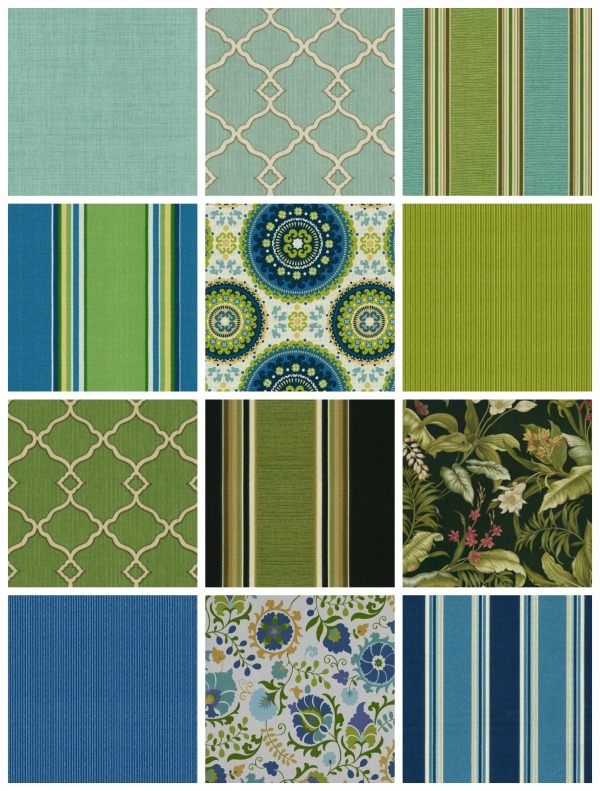 Now thanks to you, I’ve just ordered some beautiful outdoor fabric from Joan’s for $83. and that includes shipping it to Canada! I’m hoping to get 12 cushions out of it. 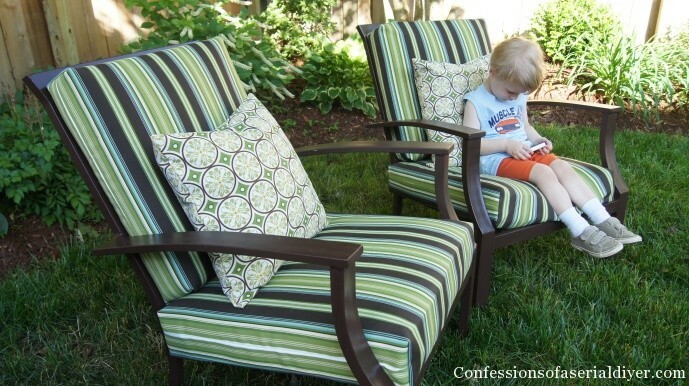 But I’ll be happy to get 6 seat cushions – I priced them at the stores and the cheapest (price and quality) were $120. You are the best! Thank you so much for this tutorial!! I can barely turn on my sewing machine and I managed to update my deck cushions in around 4 hours! Just to say thanks for the tutorial! I have been looking for a simple way of making a box cushion for a window seat and this worked a treat, the corners look really smart and I’m very pleased with how it came out – thank you! I’m excited to gives this a try! I just bought material (not striped) lol and I’m ready to go. It sounds like I’m recovering the exact cushions. 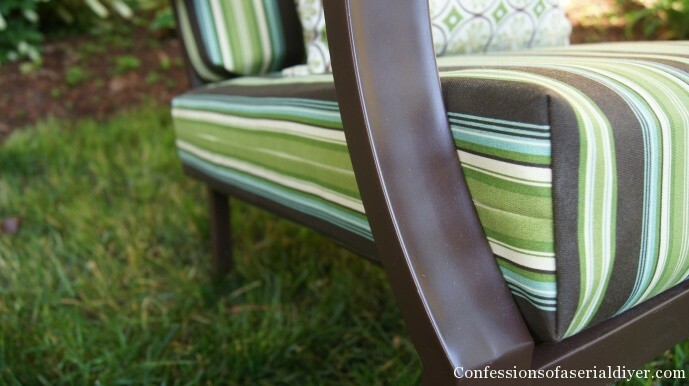 My patio furniture set was also from Target with white frame and light green cushions. Wish me luck!!! Love the cushions and I’m so glad I found this post it has inspired me to redo my set which I have been putting off. Great tutorial! Thank you Christy! I have not sewed in decades. Your directions were so easy to follow. 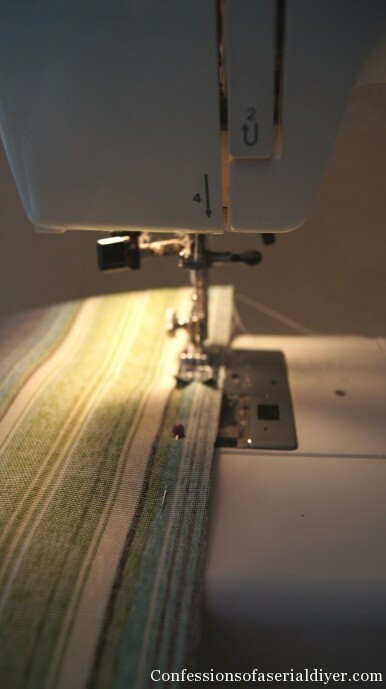 The only problem I had, was operating my sewing machine….one trip to the shop fixed that! Had the tension on 0…he set my tension and the machine purred. I have mentioned you in my blog. Again, thank you for AWESOME directions and your patio is beautiful! Thanks for the shout out, Robin! Your cushions turned out great!! 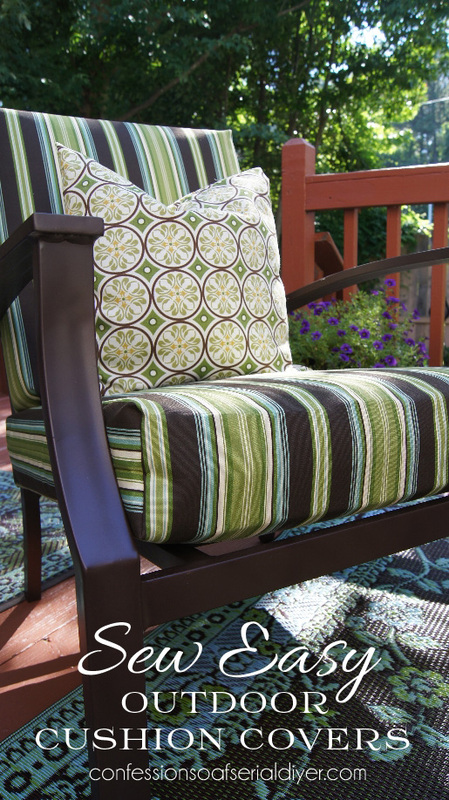 Thank you so much for this great article on recovering patio furniture. We went to a discount fabric store in Phoenix called Fabric by the Pound and found great outdoor upholstery fabric for $4.99 a yard. We got three yards which was perfect and even with the strong upholstery thread and new sewing machine needle, we only spent $20 to do four cushions. The transformation is amazing! Thanks for the tutorial! I made some cushions for a large indoor chair we have been needing to update. Your tutorial made it very easy and manageable! Made both cushions in under an hour. Thanks! I have two cushions per chair, a shorter back (about 2/3 the size of yours) and a separate bottom. Should I be able to get just one chair covered per yard of fabric or will I be able to cover two chairs (4 cushions total). I am confused about your total of 8 yards, as it looks like you covered new throw pillows, too. Would the 8 yards include enough for six chairs and the pillows? Here we are a year later and I FINALLY got around to making these cushions! I ended up taking my old cushion covers off as they were shredded, and I found garage sale chair cushions and used the inside padding of those to beef mine up a bit. My box corners are not perfect, but good for a first-timer. Those are a lot harder than they look! I wish I knew how you got yours squared off so perfectly. I am just about to hand sew the backs and I realized I did not leave enough material to do a nice big envelope fold like you have. I am pinching to cover and it is causing some puckering in the material, but I will make it work. Perhaps you could update your tutorial to reflect 1/4″ – 1/2″ overlap on the sides for stitching and 3″ or so extra to allow for the envelope close on the back. 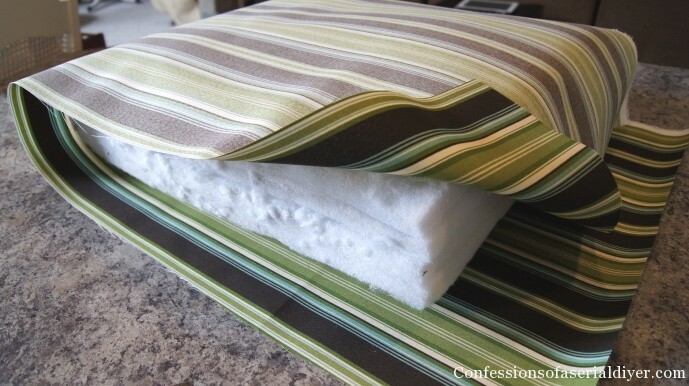 Did you do anything special to get the smoothness and the nice high point in the middle of your cushion? Mine seem to be a little wavy and not so smooth all the way around. I sewed them snug, like you suggested, but they do not look as good as yours. I made extra throw pillows with new cushions and they are full and beautiful. Excellent tutorial! 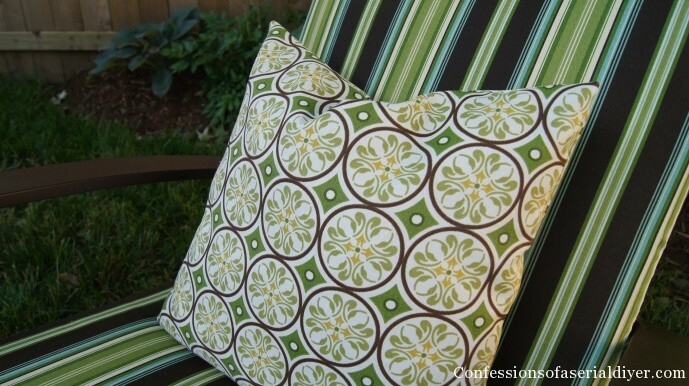 Your project looked so great you inspired me to move forward with recovering my cushions too. I completed the task in an evening and the results are phenomenal. I appreciate the tip about keeping the original covers on, it really made a difference. Thank you for this tutorial…you helped me a great deal. I tackled some smaller cushions…but with you instructions, they came together fast. And they look great. Thank you again! Did you use a special type of material? 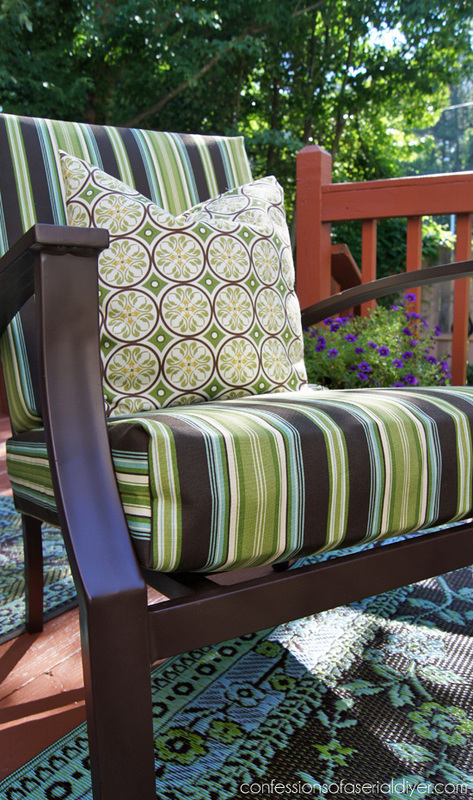 I know that outdoor cushions usually have a type of material that repels water and dries easily. Just wondering if that is what you used. If so, what is it called? Thanks. Thanks so much for the tutorial!!!! I’ve been wasting tons of time shopping around from store to store trying to find cushions for my new patio set as well as replacement cushions for my old set. I found replacement ones for about $200 but no luck for the new set. After frustration set in I stumbled upon your post. My sewing skills are basic at best but your technique makes it SUPER EASY!!!! I made a test cushion out of some scraps. Not only am I going to sew cushions for my new patio set, I’m returning the $200 replacement set I just bought. Thankfully I saved all my old cushions and with a bit of trimming I can re-purpose the cushions from an even older set to fit my new set. When I’m done I plan to share the results and your blog with my 200 member ladies group! I’m off to Joann’s right now! Thanks for the tutorial. Your cushions look beautiful. I love stripes too. Thank you!!!!! For doing this !!!!!! I actually am sitting here with a smile on my face cause I did something that looks good!!!! And my corners I just can’t quit admiring them!!!!!! I think this project is FANTASTIC! I don’t know how to sew and I was even able to do this. Thank you!!! Do you have a tutorial of how to cover the pillows? thanks! OMGosh!!! I have the exact set of furniture and decided to recover the cushions because 8 years of being outside and kids have destroyed them. I love the set and am so so excited that my first search on how to do this came to you!! Thank you for the easy to follow directions. Im thrilled!! I sort of wish I had picked striped fabric because that does look a lot easier but I didn’t and already paid for it so Here Goes!! Even though you posted this last year, I’m so glad I found it. I covered my extremely over-sized patio cushions yesterday by following your tutorial. It saved me a lot of money and they turned out great. 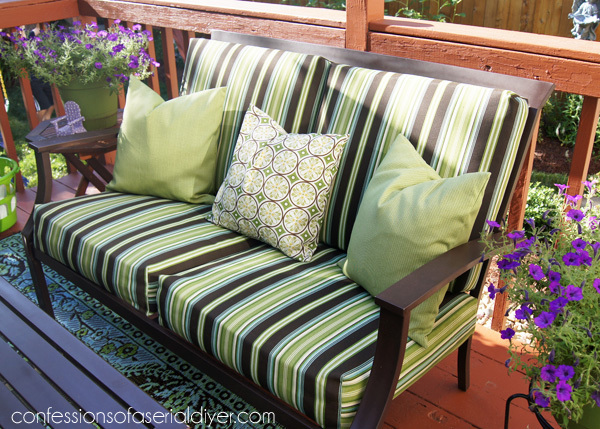 I used your Easy Sew Outdoor Cushion Tutorial to rehabilitate my patio set. Worked like a charm! Thank you so much! The only modification I made was on the back envelope enclosure for the cushions. Instead of sewing them shut, I sewed velcro along the entire length of the “envelope flaps”, so that the covers can be removable and I can wash the covers when needed. Velcro is cheaper and easier than sewing zippers. 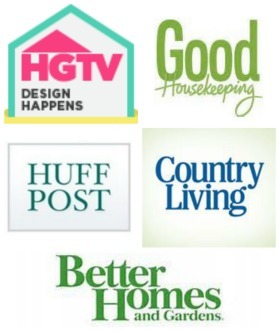 I am a huge fan of all your projects… thanks for all the inspiration!! Looking forward to trying more! This post is so timely. I’m delighted I found your blog. Thank you so much. That’s not a dumb question at all! Mine did have very thin piping, and I just covered right over them. You could also remove the old covers, which I did to a couple, but I found it easier to get the cushion in and out of the new covers easier when I left the old covers in tact. I don’t think you will have to remove them though, try one and see how it looks. Good luck! Thanks so much for this. I found it on pinterest and just covered my living room chair this way. I have only sewn twice before. I love this. I have looked through many tutorials and this HAS TO BE my favorite one! I am currently taking a break from doing my outdoor cushions! Thanks! Your cushions are lovely! I too am a hopeless (I-just-can’t-stop) diy-er; I just re-covered some of my outdoor cushions the other day for the second time. I think you made the right choice doing the cushions in the stripe and using the other pattern for the pillows. 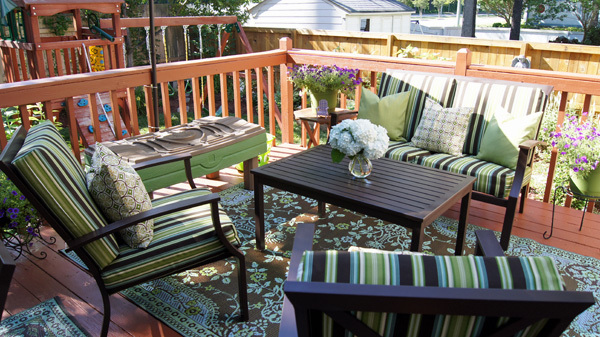 Going to check out your deck re-do now! I loved this article so much I did it. But for the back instead of hand sewing the whole thing, like the front corners I did the same for the back and sewed in a few inches and left the whole about two thirds to stuff the cushion in. Also instead of putting the cushion back in to pin and sew the corners I took half the thickness of the cushion and drew a line parallel with the side seem. Then measured up half the thickness. I did this on all four corners on both sides. Then you pull it open pin it and sew the line. Clever changes! I’m sure they look great! Hi Christy- Thanks so much for this awesome post. I “claimed” a 60”s Danish wood living room chair from my parent’s house that had the most worn cushions. Went to Joanne’s, bought new foam and striped fabric and voila, a new chair! Yes, the hand-stitching was a pain but so worth it! My son now has a “new” chair for his room at our beach house! Wish there was a way to import the pic so you could see! Thank you so much for this suggestion! 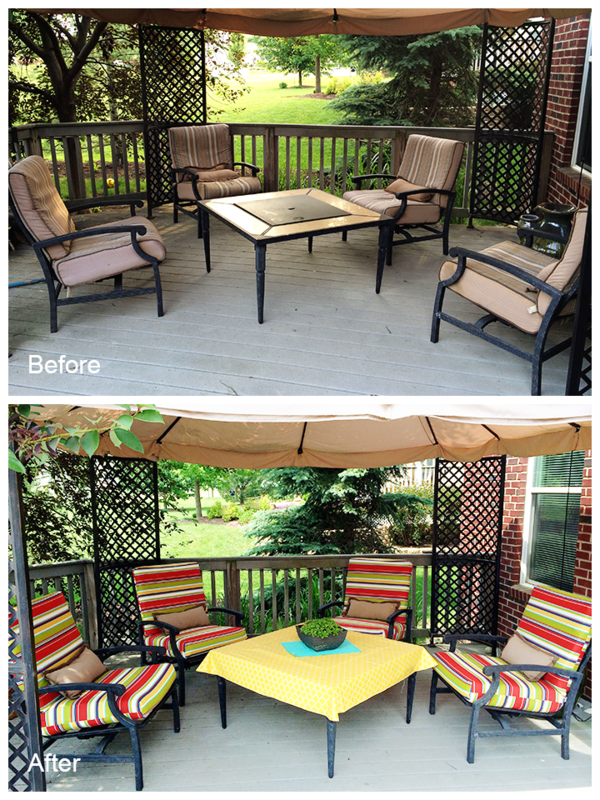 Such an affordable way to replace outdoor cushions! I did all 6 for only $40 and I love the fabric! Great instructions too! Thanks for posting this idea! I was going to buy a new set of cushions and have been putting it off because of the expense. But I tried it and they look great. I’m not the best seamstress, but it’s really not that hard. 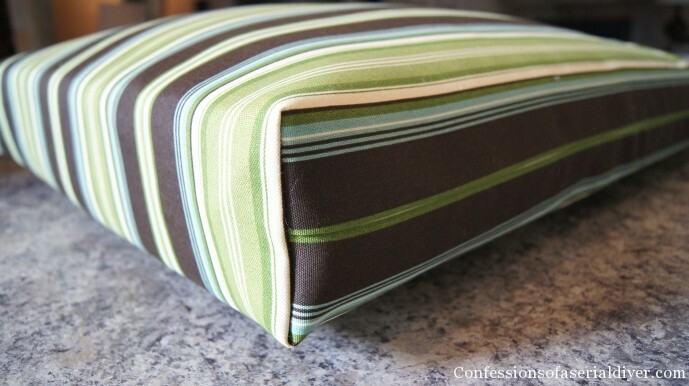 I did mess up the corners the first time because I sewed them in the opposite direction if you can picture that, like two dimensional it worked out because it was the back upright cushion and it gives the cushion some shape. I also decided to try a different color and my husband hated it (says it was hospital blue)! But they were in expensive enough to remake in a color he likes plain ole beige. I am really happy with this project. Thank you! Thank you so much for this tutorial! I was going to recover my patio furniture cushions in a much more complicated way, but then I found your directions. The cushions turned out great! Thanks again! I have been trying to nurse an outdoor four chair set with the most comfortable filled cushions along for over ten years, but the nylon? faced seating and back surfaces ares finally disintegrating. I found the green speckled spray to touch up the frames, and the webbing is still strong and flexible, but I couldn’t afford to have those wonderful filled cushions recovered. As I can operate a sewing machine to do repairs and hem pants and jeans, I’m sure I can follow your instructions. I can’t wait to try this, Christy; I feel it was a stroke of luck I found you!! 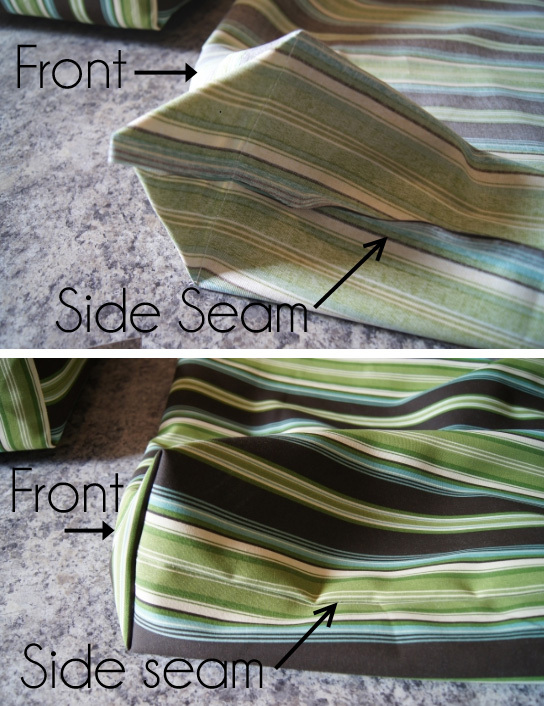 If you can sew a straight line, you can definitely do this. Your set will look brand new again! Good luck! Thank you so much for this! I was way over thinking my project. Your directions were easy to follow and my cushions came out great. Everything looks great! I’m definitely trying this to spruce up my blah-looking cushions. I’ve been thinking about spray painting my chairs too because the paint on them is faded. Do you find that the spray paint scratches or chips easily? Thanks, Marisa! The spray paint holds up fantastically outdoors! I used your tutorial to cover my cushions and I love how they turned out. Thank you so much! if there was a tutorial easy enough for my lack of sewing skills! Yours was so simple and so easy to follow and I just wanted to say thank you for putting something out there that anyone can do!! I’m having a blast making these cushions! Just finished recovering my porch swing cushions & they turned out great. For those of you nervous to try this, don’t be. This is my first sewing project ( I had to get out the manual just to put on the thread and bobbin – that is how much of a newbie I am!). The corners are genius. Thanks so much for the tutorial!! My largest cushions are 22″X 22″X 5″. I think it would be easier to just add a strip to widen your fabric a bit. 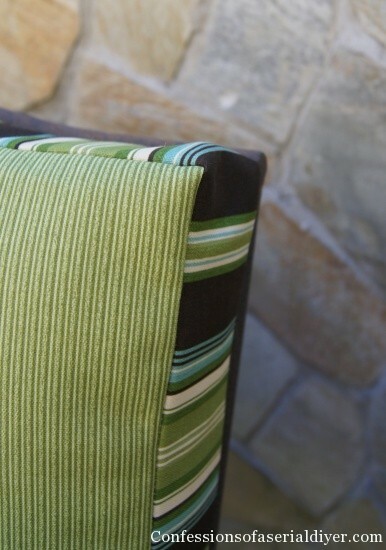 The seam should end up on the side of your cushion so it shouldn’t be too noticeable, especially if you chose a patterned fabric. Good luck! Thanks a BUNCH for this….Exactly what I was looking for help with! …I too had issues with fighting out how you got those corners so sharp…but after watching this: https://youtu.be/ji_o6IqmVnk it all made sense! Thank you!!! Just ordered some outdoor material for our swing! Can’t wait to make the cover after the hideous makeshift ones I have on there now!